Discussion in 'DiRT Series' started by GTPNewsWire, Apr 9, 2019. 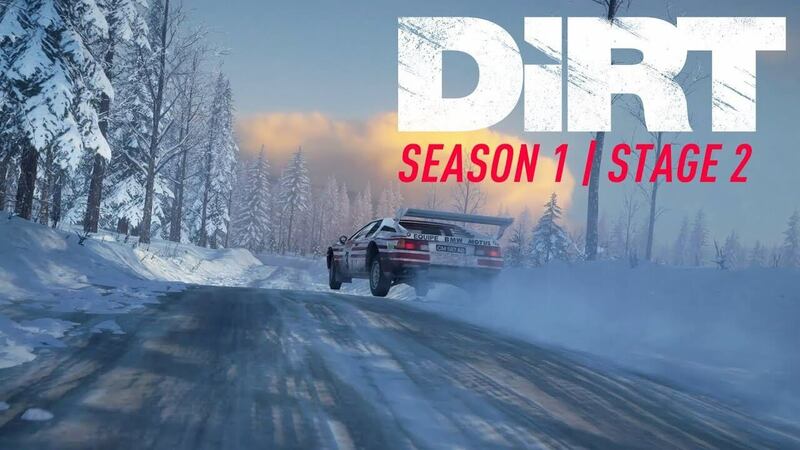 This article was published by Kyle Patrick (@SlipZtrEm) on April 9th, 2019 in the DiRT Rally 2.0 category. MarcoM, BrainsBush and potvinsuks like this. Looking forward to trying these out later, especially the new to series M1. Always like the Manta from Dirt Rally 1, it was far easier to handle than the Lancia 037.
im_seb30 and Moby45 like this. M1 is a screamer. Apparently the sound may receive an update next week, not that it's not awesome already. A bit harder to control up in the rev range, a bit like driving a 2t motorcycle in the powerband. The Manta is more predictable, but i find it a bit dull in comparison. MarcoM and MagpieRacer like this. The Manta 400 is very balanced and straight forward to drive whereas the M1 Procar can be quite cruel when you least expect it. Here's hoping the 037 Evo arrives at some point, but for now bring on Sweden! I play the maximum hard on the keyboard - the first Event time on the BMW M1 on a gravel track without the ability to change the machine's settings - this is a fiasco of the developer. Cosmic times of an arcade mode versus a simulator mode is a fiasco. I actually love that the Manta is forgiving, it's a very lazy car when it comes to the power delivery and cornering, which gives you a bit more confidence to drive it fast. Probably my favourite group B car in the game now. MidnightRush, Nielsen, kembro and 2 others like this. What is that white stuff? It's everywhere, on the road, on the trees, on the ground. Updating my statement. It's my favourite historic (pre 90s) rally car in the whole game. MidnightRush, kembro, Canucks_9419 and 1 other person like this.